The base of the whole collection is Neon Tubes, our bestselling neon font. In addition to the font we have a highly detailed neon text effect, a neon sign mockup with additional connectors and cables etc. and finally 24 quick and easy to use neon Photoshop layer styles. Neon Tubes is a new font-face inspired by real world signs. It uses minimal letter forms with smooth rounded corners and, true to real signs, only uses lines with open start and end points. 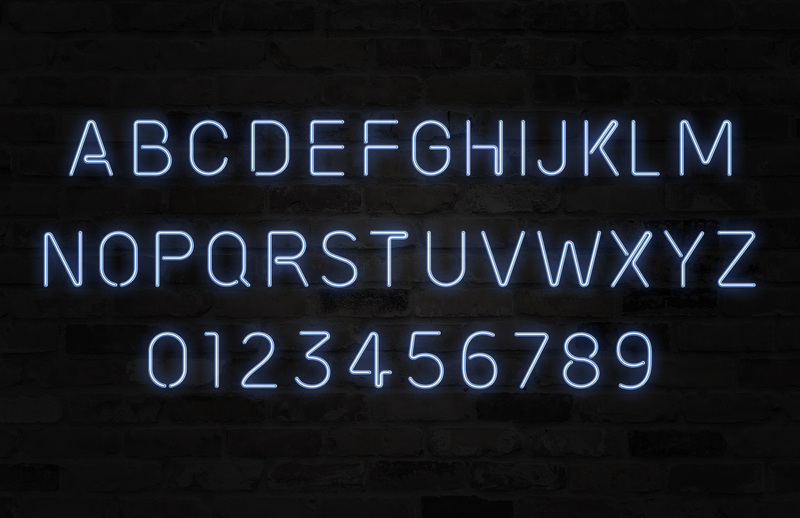 This neon font is perfect for adding your own glowing light effects in html/css or can be used to actually design real world signage. 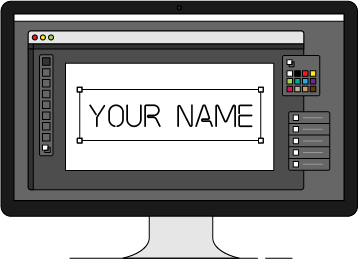 Each letter and number is about 840 pixels tall, and they can be resized using Photoshop's 'Image Size..' function if you select the 'Scale Styles' option. 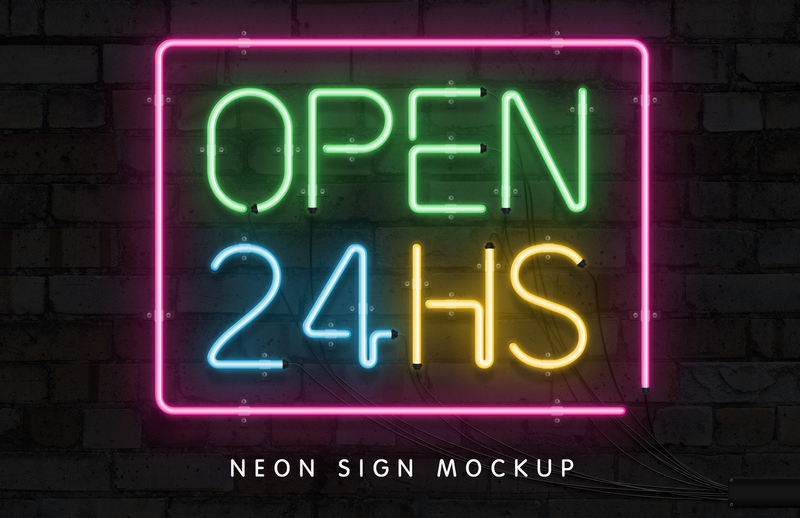 Use this mockup for Photoshop to design and showcase your neon sign designs. It includes 'On' and 'Off' states as well as various extra elements such as wires, connectors and wall brackets which can be manually placed on your sign for realism. 24 Neon Layer Styles for Photoshop that will make the process of making neon signs much easier. 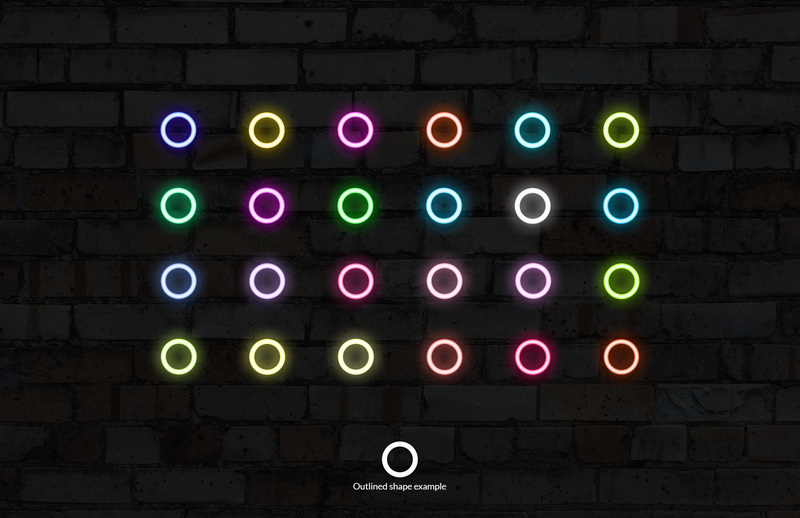 Once installed, you just need to select the layer you want to apply the effect and click on the desired neon style. The Layer Style file contains 24 different colors to choose from (taken from the most known neon sign manufacturers) making the job of building neon signs quick and easy.